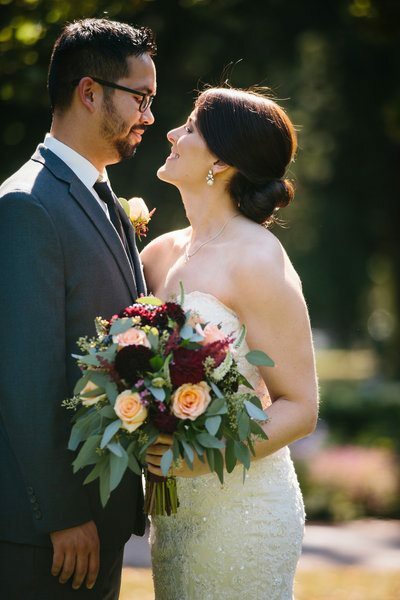 Kate’s vision for her big day: Romantic flowers with soft, billowy blooms and lots of texture. 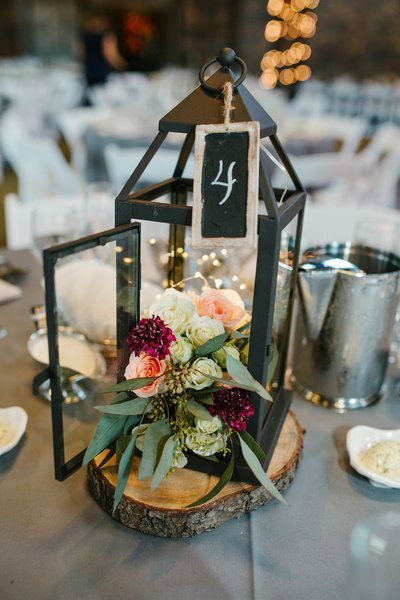 She had these fantastic lanterns that she envisioned flowers spilling out of as centerpieces….and her wish was our command. 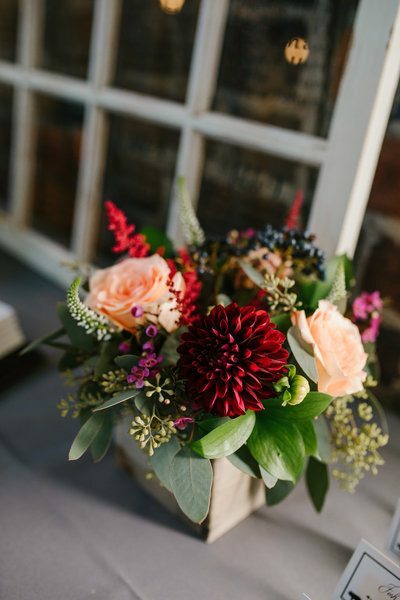 To embellish her lanterns, we paired them with wooden boxes brimming full of lush gardeny flowers, such as dahlias, roses and astilbe with a splash of navy blue viburnum berries. 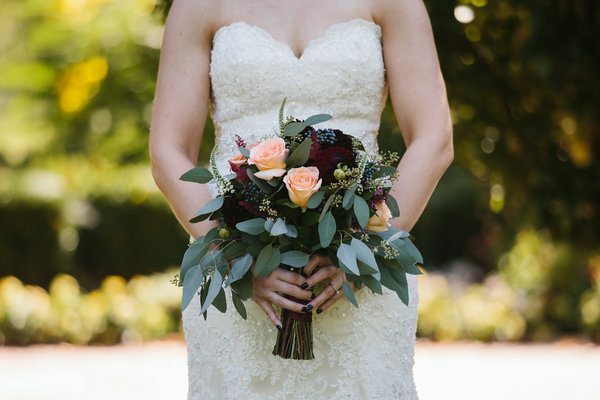 Kate loved the berries so much we also incorporated them into her bridal bouquet! 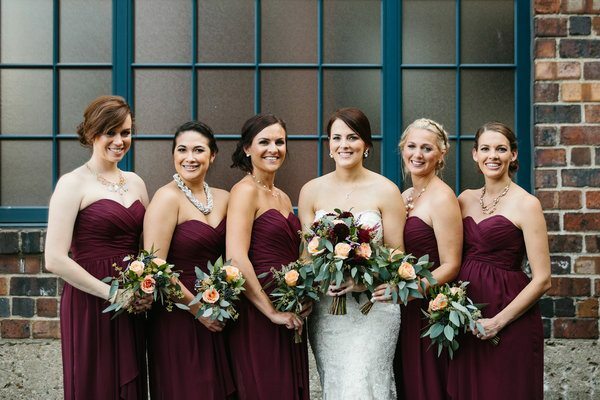 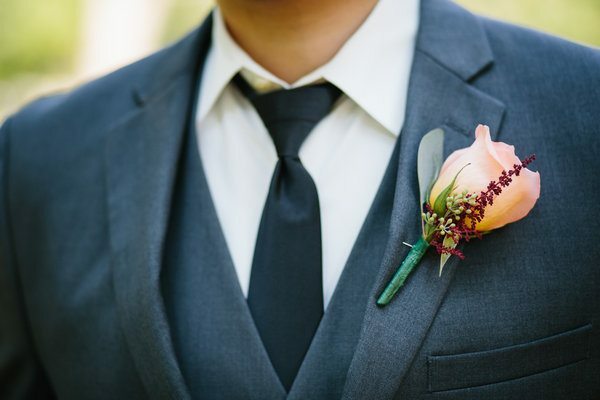 Her five bridesmaids carried a miniature version of the bridal bouquet while the men looked dashing in boutonnieres of roses and astilbe.